becoming a foster or adoptive parent, make sure to download an application and send it in. processed and approved we will contact you to schedule a home inspection. are aware of at the time per dog. our veterinary and routine care expenses per dog and to allow us to continue helping others dogs in need. the process must be restarted. 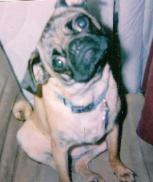 all vet & medication expenses for our pugs in foster care. All of our rescues are spayed or neutered, up to date on shots, heartworm tested and vet checked prior to placement.